Should your doctor be allowed to Google you? 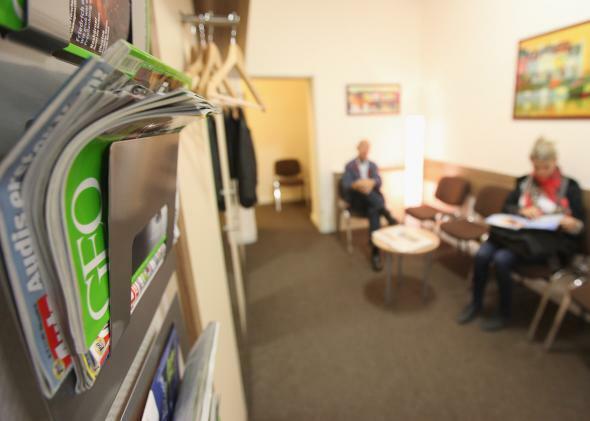 Patients sit in a doctor’s waiting room. You probably aren’t entirely honest with your doctor (or dentist). Maybe you slightly exaggerate how frequently you exercise or round down how much you drink. Perhaps you indulge in the occasional social cigarette but don’t want to admit to it during your physical. What if your doctor called you out on those lies—by calling up your Facebook page right in the exam room and pointing to a photo that shows you smoking? She reported that she had developed melanoma at twenty-five; that her mother, sister, aunts, and a cousin all had breast cancer; that a cousin had ovarian cancer at nineteen; and that a brother was treated for esophageal cancer at fifteen. That didn’t sound right to her doctors. They went to her primary care physician to get more information, but instead found more red flags: The woman had been diagnosed with an “atypical mole,” not melanoma, and some of her primary care physician’s colleagues were skeptical about her self-reported history. In the end, the doctors found Facebook pages that suggested the patient was suffering from something else entirely—possibly Munchausen by Internet, in which someone pretends to be sick, often with cancer, to get attention or money. (To be fair, it’s not clear whether she was trying to fool people in real life or online.) The surgery did not take place. That seems overly credulous, given that the case study says that the patient was asked about her history—and apparently lied. The opposing commentary agrees, dismissing the “never-google” crowd as taking an “abstinence-only approach.” They argue that while of course it’s preferable to get information directly from the patient, “it would be irresponsible not to exhaust all resources in learning about a patient with such troubling red flags.” They make it clear that they don’t think every patient should be Googled, but that “checklists and guidelines” could help determine who should be searched—like those suspected of doctor shopping or who give inconsistent histories. If the doctors hadn’t searched for more information about the 26-year-old patient, they might have performed an invasive surgery for no reason, putting her at risk of genuine physical problems. Furthermore, it might have allowed her to double down on her false claims of illness, allowing her to get more sympathy or even money out of people. As my colleague Justin Peters has written, it never ends well when you fake cancer. I don’t want my doctor to poke around my social media presence for evidence that I’m sugar-coating the truth about my diet. But then again, my fudge doesn’t involve a scalpel.